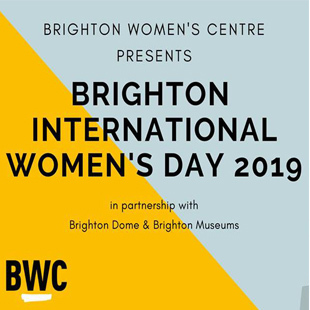 On 9th March 2019 BWC (Brighton Women’s Centre), Brighton Dome and Brighton Museum will once again join forces to host the city’s largest annual International Women’s Day celebrations! Gender equality will be firmly on the agenda at this free and inclusive event to celebrate women’s achievements. Myriad will be attending to support the event. Myriad authors Ottilie Hainsworth and Hannah Eaton will be the graphic reportage team – mapping out the day’s events with a visual mural of facts, stats and quotes. We will be running a bookstall with The Feminist Bookshop, and authors Umi Sinha and Ruth Figgest will be joining forces to discuss relationships and belonging. For more information on BWC please visit www.womenscentre.org.uk and to donate please go to https://mydonate.bt.com/charities/brightonwomenscentre.